1200 people actually watched this! I must have missed them on TV! Two years ago I boycotted coverage and opinion (well I did opinions) on Singapore League as long as Dan Tan was at large. He was arrested (what’s the situation now? I’m too afraid to check. Don’t want to read another Kong Hee), and so the boycott was lifted. The next time I visit Singapore, I intend to watch an S. League match. Should be simple…go to Jalan Besar or any other stadium and pay at the box office, since the stadium must be deserted. But that plan has been crossed. I watched two international football matches broadcasted live from Jalan Besar stadium and they were terrible. 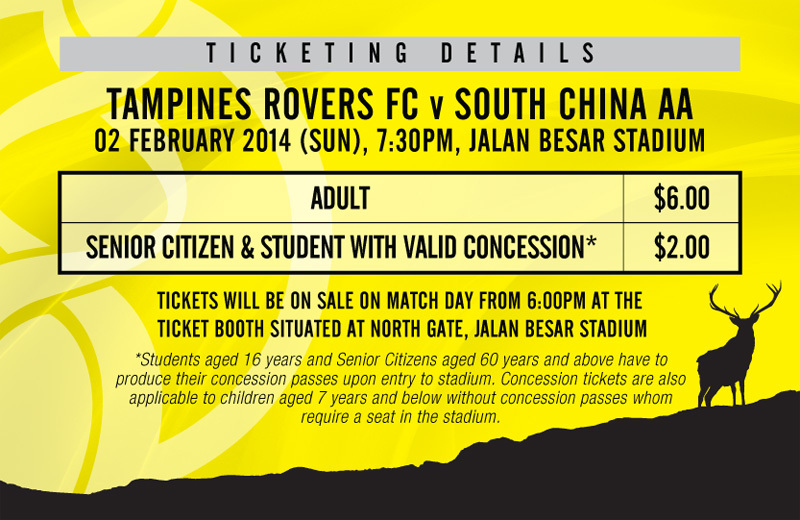 First match was AFC Champions League qualification where Tampines Rovers hosted South China. The shoves were deliberate, unsporting behaviors, tempers, overaged and overweight white players. And no spectator. The next match was Singapore against Jordan, AFC Asian Cup qualification. Again, the match, like the previous, saw at least two red cards. I come from a country famous for mismanagement, corruption, unpaid wages, and football as political vehicles. I idolized Singapore for several reasons – it’s the only functional state in Southeast Asia, and by no coincidence it’s the only Chinese-majority state in the region. It’s the closest and easiest place to experience the First World in transportation, security, and trade. It’s the closest and easiest place to experience East Asia in culture, entertainment, food, and fashion. For years I’ve refused to accept the reality that football in 21st century Singapore is a Malay scene. It was a Singaporean scene, but now it’s really rare to find Chinese and Indian players on the pitch – strangely, even it’s rarer to find Singapore-born Westerners playing professional football. It’s easier to find Chinese and Indians in Malaysian teams and the half-(or more) Western locals are quite easy to find among Filipino, Hong Kong, and even Japanese teams. Seeing how Tampines and the Lions performed, it was understandable that “footbrawl” was a quite common word in Singapore, although thankfully the worst had came past us. I only can speculate wildly on the underlying causes. The pressure of living in unhappy, perfectionist Singapore (although you don’t see the same thing in J. League and K-League)? Disparity between living in a high income country and playing in an underfunded league? The weird situation of being a league where foreign teams have to keep on participating for financial and political reasons? Proximity with the mother of match fixing cartel? Certainly, now I think it’s better to spend two-three hours exploring parts of Singapore (besides Orchard Road) rather than watching low quality football where I won’t get what I want to see – Chinese men doing athletics and Chinese women cheering for them. The following week watching Muang Thong and Chonburi was easier. More spectators, although yeah, Muang Thong vs Hanoi was also a rough match. Unfortunately, the next week I had to support the non Southeast Asian teams – Melbourne Victory and Beijing Guoan. Maybe at the end, Australia and China deserve more Champions League spot than Thailand. I believe at this time I’ve given up big expectations on Southeast Asian football and be happy with it. No point in hoping they can match East Asia if they cannot match West Asia. No point in hoping for more Chinese-Singaporean footballers if there are not many Chinese-Australian, Chinese-American, and heck, capable Chinese footballers around. These days I happily watch the Indonesian Super League from television and be thankful that my town hosts the only Chinese-Indonesian footballer, Kim Kurniawan (besides Espanyol B’s Arthur Irawan). 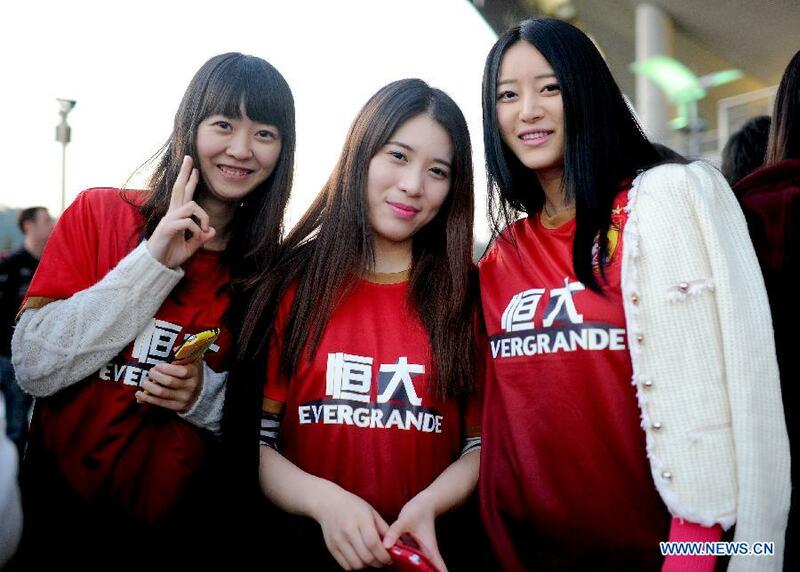 These days I follow the A-League highlights on Australia Network and be happy that Guangzhou Evergrande has returned to Earth. These days I keep on thinking “Well it’s not Kagawa fault” when he’s not on the Manchester United lineup, expecting Honda and Nagatomo’s goals or assists, and hoping that the Bundesliga match will be something else besides Munich or Dortmund. And keeping track of Eiji Kawashima’s clean sheet (5 matches so far). If the 2015 Asian Cup has no Southeast Asian representative (Malaysia by long shot), then be it. One day they will be able to defeat Lebanon, Oman, and China. But I won’t wait for that day.